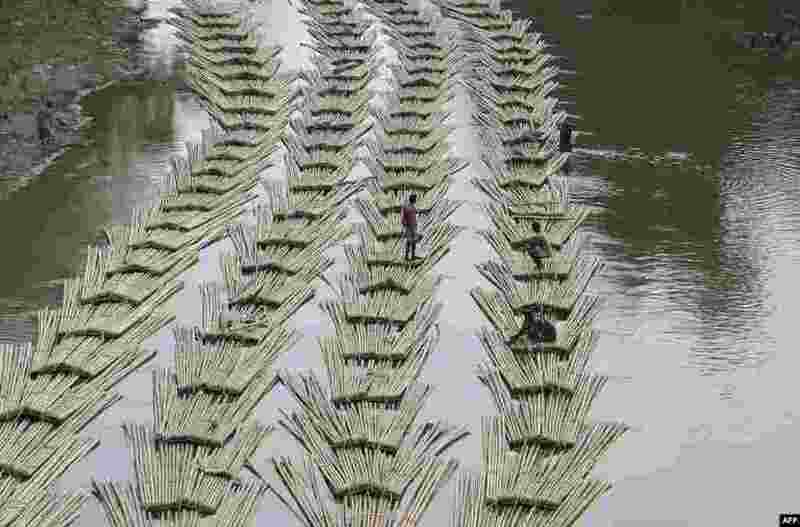 5 Indian laborers transport bamboo logs down the Longai River near the Tripura-Mizoram state border in Damchara, April 18, 2017. 6 Models struggle against strong wind before the rehearsal of Christian Dior's Haute Couture Spring-Summer 2017 live show to celebrate Dior's new flagship store at the rooftop of Ginza Six mall in Tokyo, Japan. 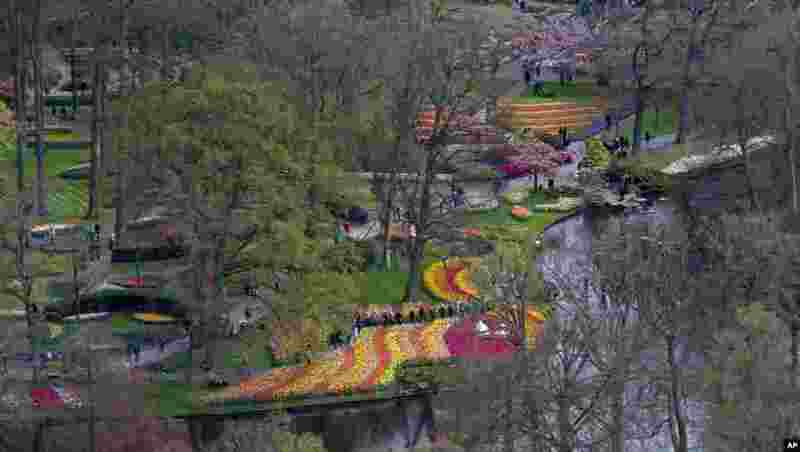 7 Tourists visit Keukenhof spring garden in Lisse, some 20 kilometers from Amsterdam, The Netherlands. Keukenhof has more than 7 million bulbs in bloom this spring, with a total of 800 varieties of tulips. 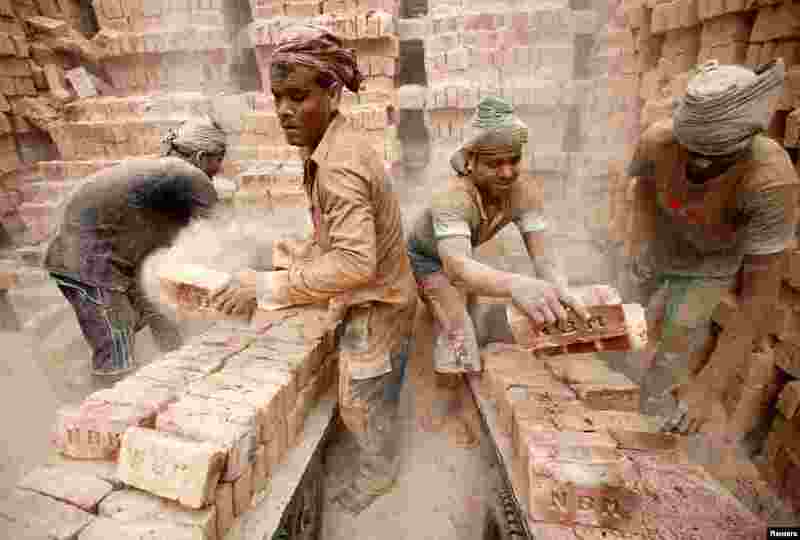 8 Laborers work at a brick factory in Dhaka, Bangladesh.